VN is among one of the first to start LENO Bags production. We are in the production of LENO since last 4 years. Our total capacity is 210 looms out of that 30 looms are totally dedicated for LENO production. We have catered to all regular sectors (Onions, Potato, vegetables etc) in India for LENO supplies. Now we are developing new segments for use of LENO bags i.e outer packing of Consumable goods. 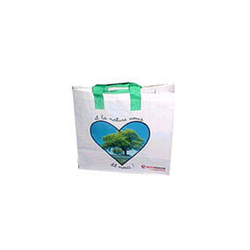 We have also exported leno bags to Europe and Middle East market. 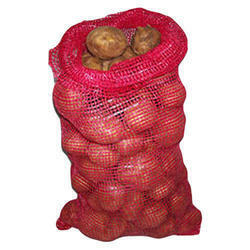 Leno bags are used for packing fresh vegetables, fruits, potatoes, onions, etc. They are specially woven and designed to maintain freshness of the packed goods by allowing air inside the bags to prevent inner moisture that may spoil the goods. Our range of gusseted bags are widely used for lifting containers and are also used as packaging materials for agro-products, chemicals, cement, food-grains, and fertilizer materials. These bags have the ability to stand vertically due to its unique construction. Also printing can be done on the gusseted portion giving it easy recognition when kept in a pile of bags.